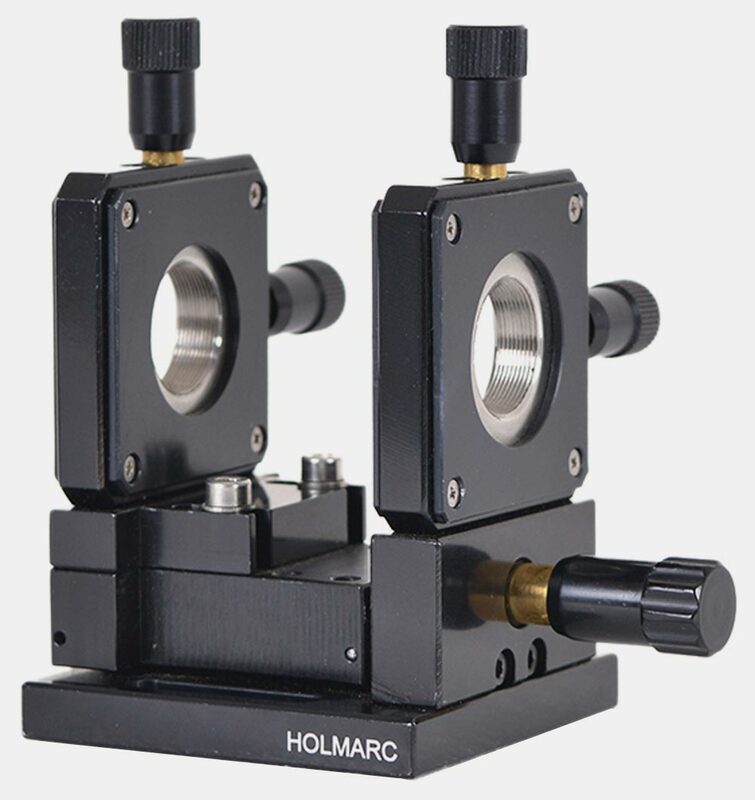 Holmarc manufactures precision pinholes for spatial filtering and other similar applications. 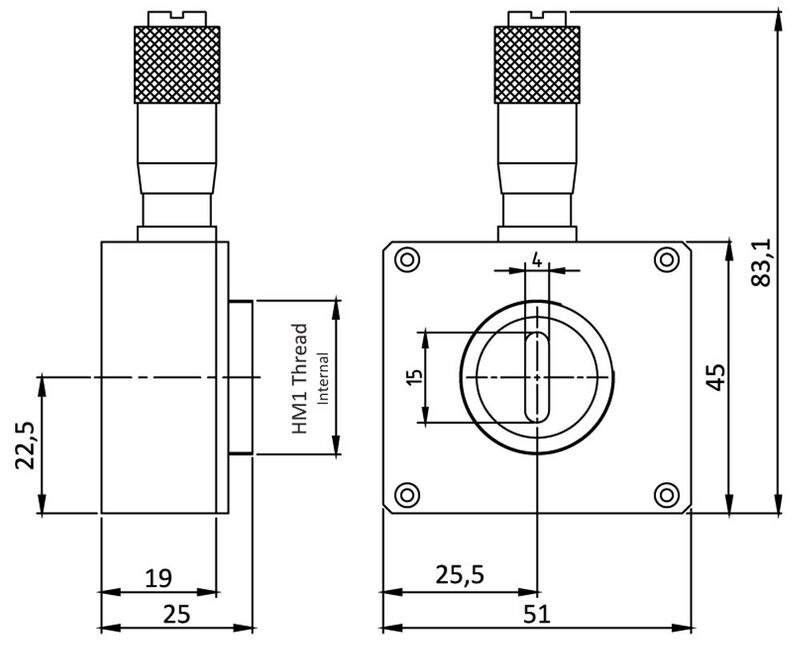 Standard pinholes are available in either copper or stainless steel substrates. 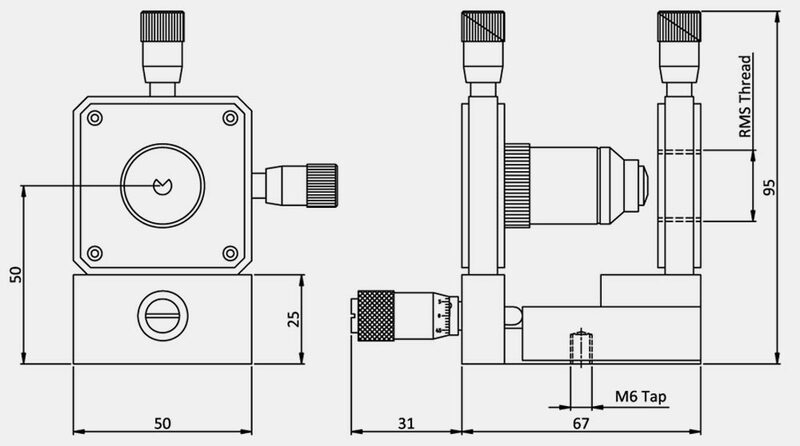 * Custom hole size can be provided. 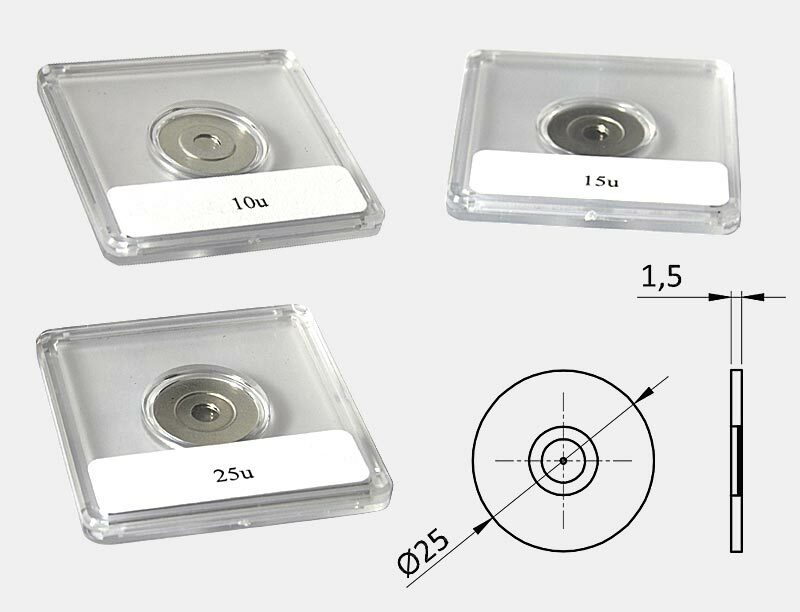 These pinhole cells are suitable for 25 mm dia. mounted pinholes. 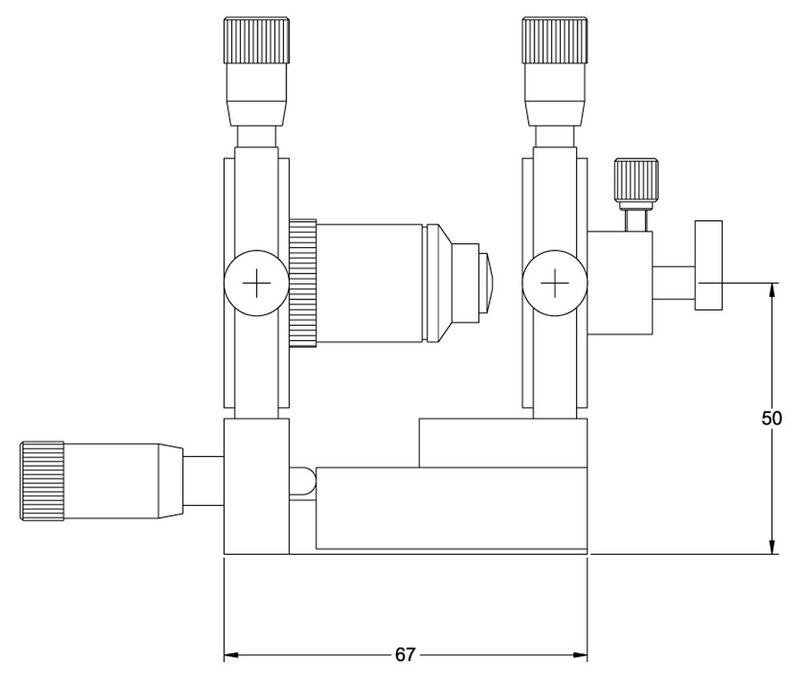 It can be used with rigid, kinematic, XY, XYZ and 5axis stages. 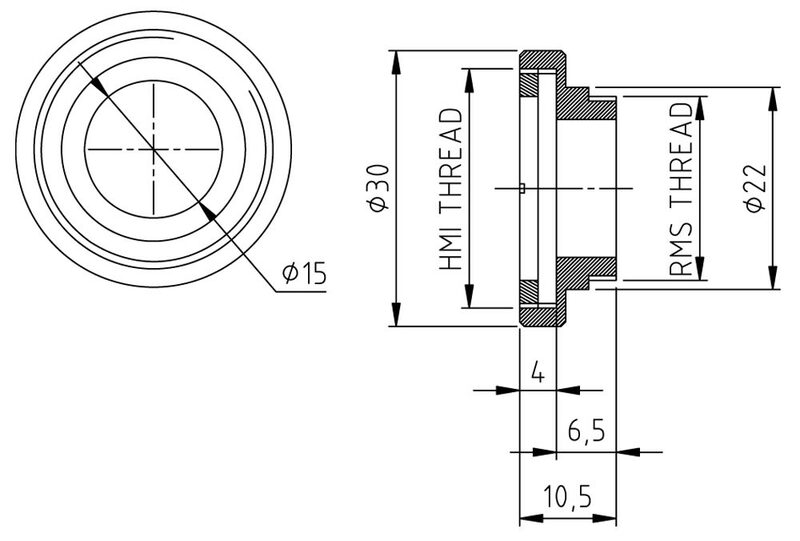 The cell comes with standard RMS thread for fixing to various mounts. 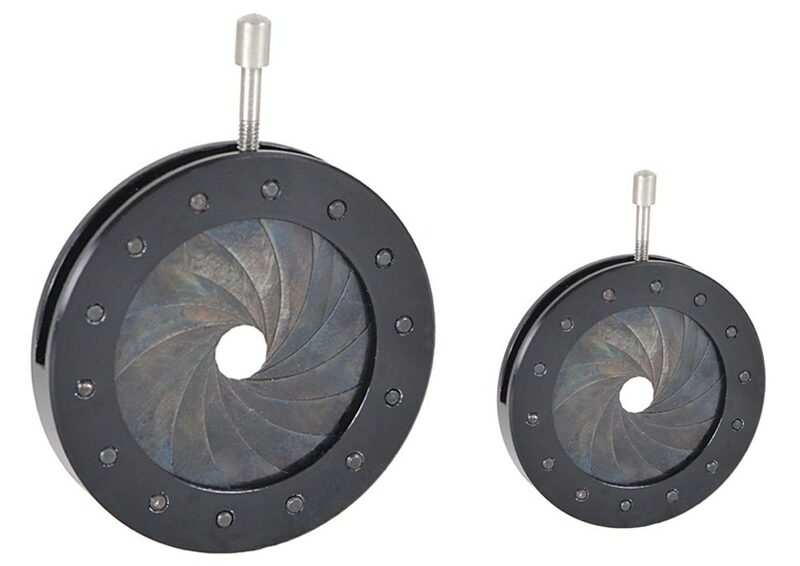 These apertures are made in aluminium substrate and finished by black anodizing. 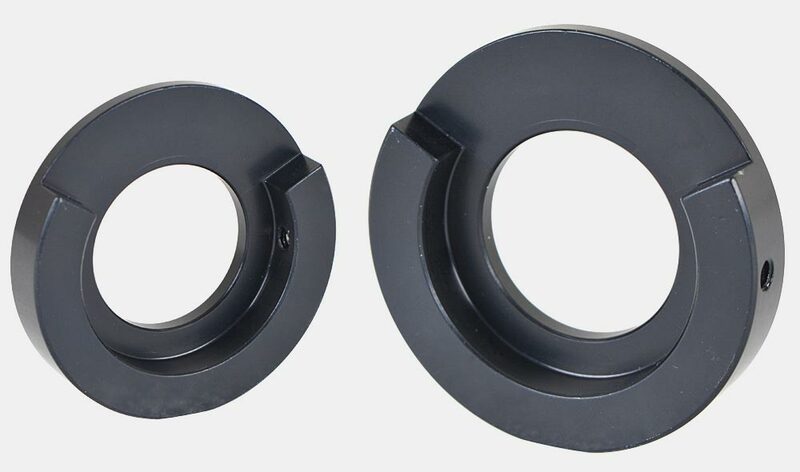 The aperture can be mounted to our standard RLM-25 lens mount. 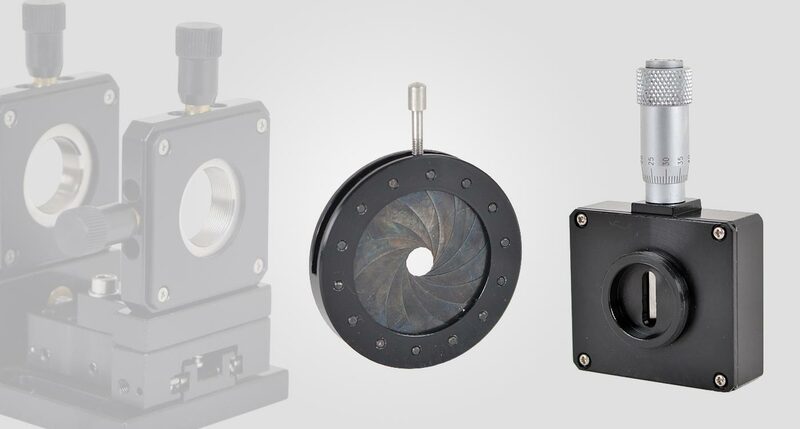 Holmarc manufactures variable aperture in four different sizes. 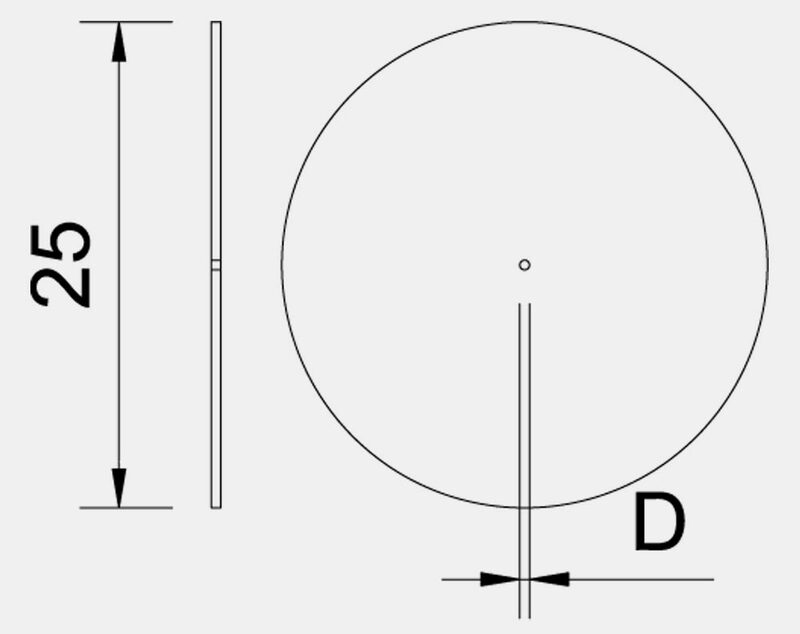 These are precision devices which offer near perfect circular apertures. 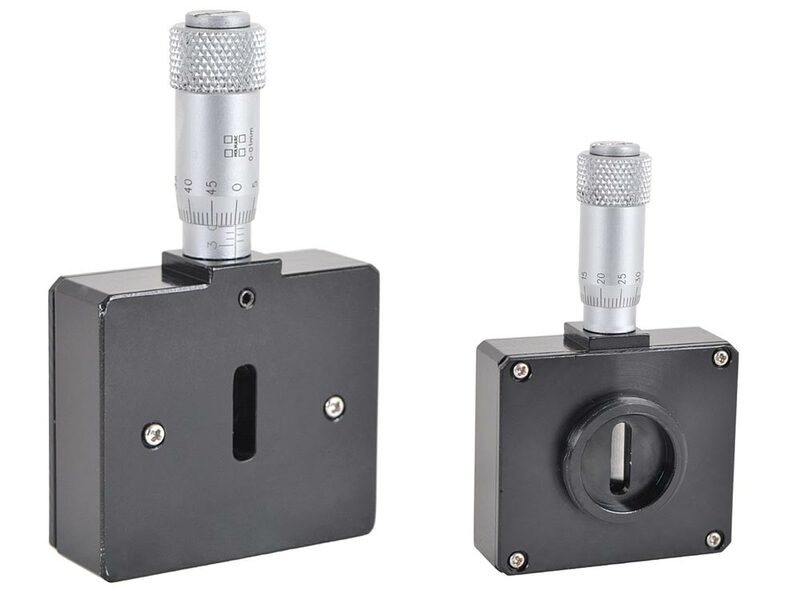 These mounts are specially suited for Holmarc’s variable apertures. 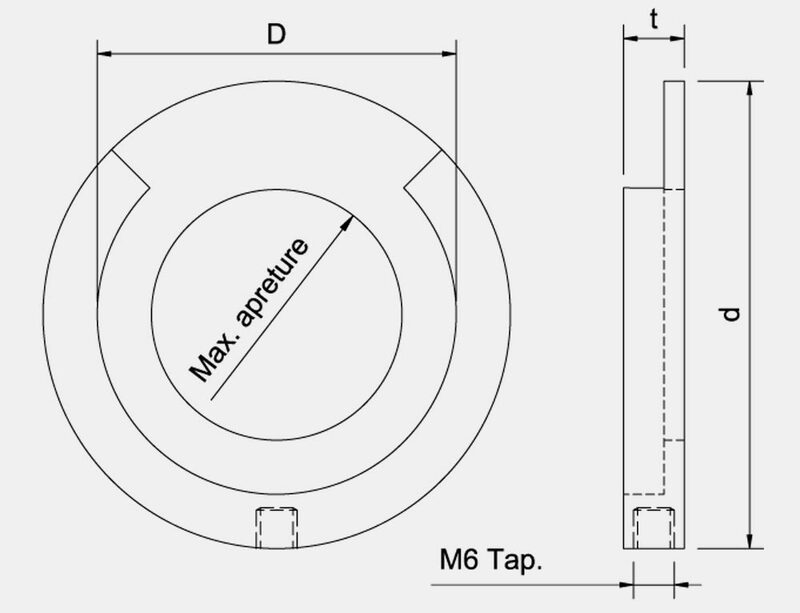 There is M6 tapped hole at the bottom for post mounting. 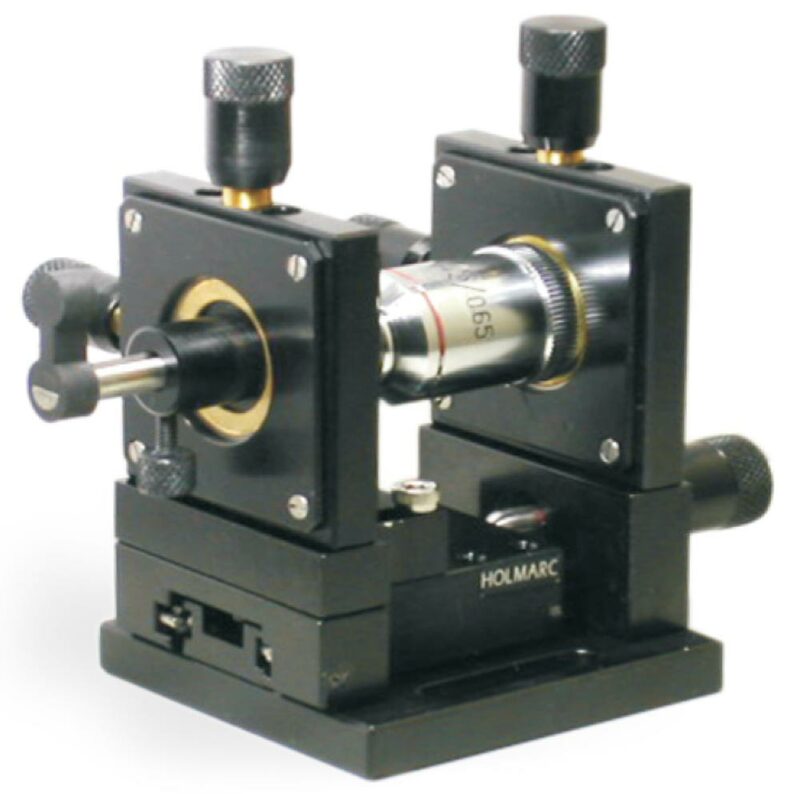 Variable slits manufactured by Holmarc has micrometer drive which shows slit opening directly on the graduations. 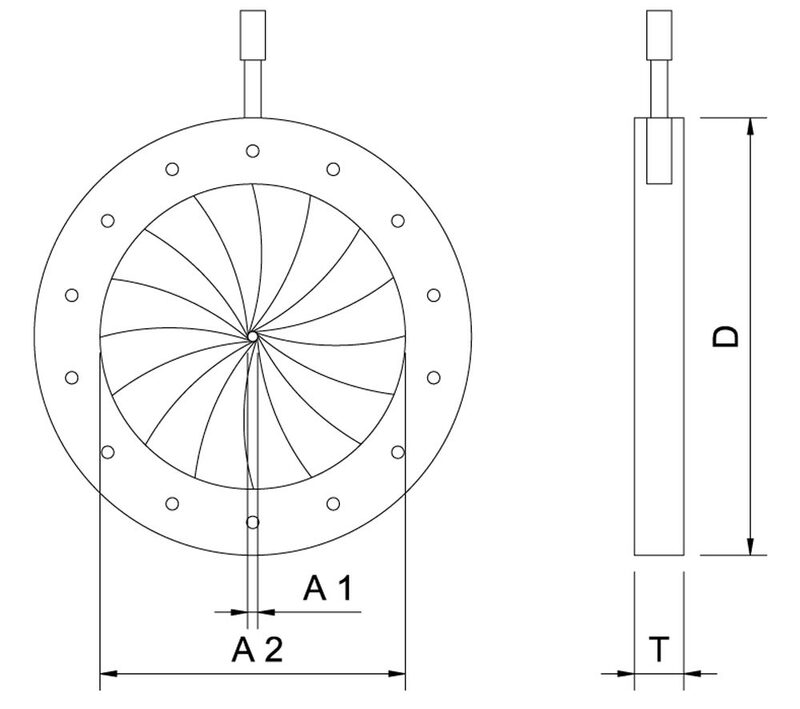 All the translation movements (Z axis stage as well as two X-Y positioners) are provided with preloaded ball bearing guide ways for play less and stick-slip free positioning.